First, a word about the March 16th performance. The production, by British director Anthony Minghella, is highly stylized. When it premiered at the Met in 2006, it was highly criticized mainly because, among other things, Butterfly’s 3 year old son (which she named Trouble) was not a real child (as is the case with most productions), but a puppet that was manipulated on stage by 3 puppeteers, all dressed in black – one for the head, one for the arms, and one for the legs. This didn’t bother me too much, because I knew what to expect. I never saw the production in the theatre, but did see it on one of the Met Live in HD broadcasts a few years back. I admit that, had one not known about this ahead of time, it could be quite jarring. But let’s get to the best part – the music and the singing. First, the music. As mentioned in my Tosca blog a few weeks back, Puccini’s mastery of melody and tight drama is unsurpassed. In my humble opinion, there are so many opera plots that are just stupid – or, if not stupid – hard to follow if there are, say, more than about 6 principle characters and multiple plot threads. Puccini and his librettists for Butterfly, Giuseppe Giacosa and Luigi Illica, weave a taut thread of happiness, despair, and suicide in a mere three acts. This is similar to the Tosca plot (happy lovers in the first act; dramatic encounter with a villain in the second act; despair and suicide in the third). Giacosa and Illica also wrote the libretto for Tosca. However, while Tosca is set in Rome (familiar territory to most opera lovers), the 19th c. fascination with “Oriental” settings is prominent in both Butterfly and Puccini’s last opera Turandot. Here is a very good explanatory article: http://www.roh.org.uk/news/eastern-promises-the-allure-of-the-orient-in-opera-and-ballet. 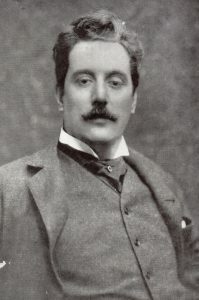 There is no need to go into the story of Butterfly – suffice it to say that Puccini had a special fondness for his female heroines (ALL of them sopranos, darn it! ), and Butterfly is no exception. During the entire production, I kept fondly remembering my very first production, back in 19-something-something (!) with Kentucky Opera. I had made my professional debut with that company the previous season as the Page in Strauss’s Salome. So I was very happy to be invited back to sing a larger role. My lovely Butterfly was the wonderful soprano Sherry Zannoth. Sherry and I became fast friends, and when I moved to NYC in 1978, we were roommates for a few months before I found my own apartment. Sadly, Sherry passed away in 2012. Here is an obituary. 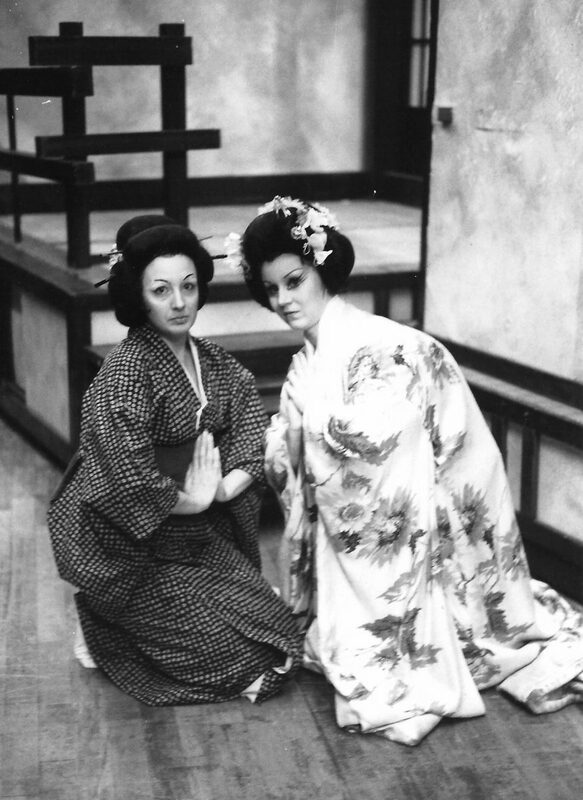 …and a photo of us as Butterfly and Suzuki. It was that first production that sent me over the moon about this glorious music. I especially love the Act I Love Duet between Butterfly and her new husband, Lt. B.F. Pinkerton. It is some of the most glorious music ever written. I am not one of those singers who retreats to the dressing room when not on stage…no, I like to stand off stage where I can hear and see (from the sidelines) the action and arc of the plot, so as to immerse myself in the drama and the music. That way, when I have my next appearance on stage, I feel integrated into the action. Now, to the singers in last week’s performance. I have performed with and heard many Butterflies – the soprano I heard last Friday was one of the very best, and the name was new to me – an Albanian singer named Ermonela Jaho. She is very petite (or at least seemed so from where I sat), but with a voice that carried beautifully and effortlessly over the orchestra and into the nearly 3000 seat theatre. 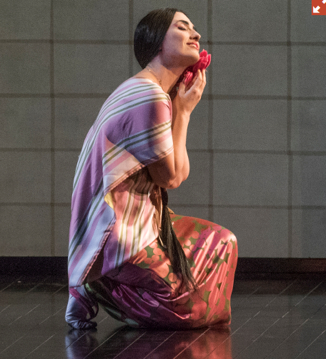 Butterfly is one of the most punishing soprano roles ever written – she is on stage for almost the entire opera, and has two killer arias (“Un bel di vedremo” and “Tu, tu, tu piccolo addio”), not to mention the long love duet and the most famous number from the opera, the Flower Duet with Suzuki. Ms. Jaho paced this role perfectly – never over singing but always audible and nuanced. Let me tell you, that is VERY hard to accomplish. I started to weep at the Love Duet, and, well, didn’t have a dry eye until well after the final curtain – this opera is so beautiful it hurts, and I can tear up just thinking about the story and the music. The irony of this role is that Butterfly is an innocent 15 year old, a delicate flower. Yet her music needs a somewhat mature, experienced soprano to pull off the demands of this role. This happens all the time in opera. Here is another beautifully touching video of the entire Love Duet. Watch it and weep. Finally, I had the pleasure of attending this performance with my two good friends, Kristen Hotham Carroll and Chris Hotham Carroll (with whom I attended Norma at the Met back in December). Kristen and Chris are fairly new to opera, and they have now become true fans. After a yummy meal at the Lincoln Square Steak House, we headed down the street to the Met, making it to our parterre box seats just in time for the opening curtain. Here we are right after leaving the theatre. 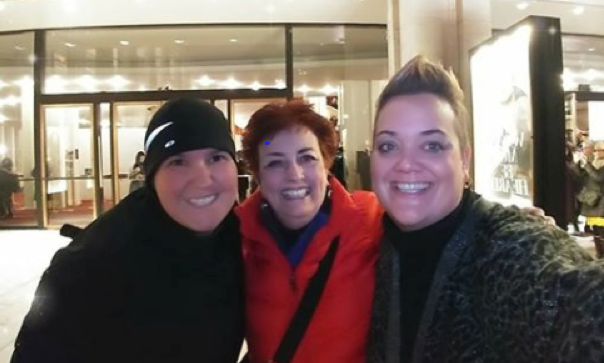 I look forward to attending many more performances with my new opera loving pals!